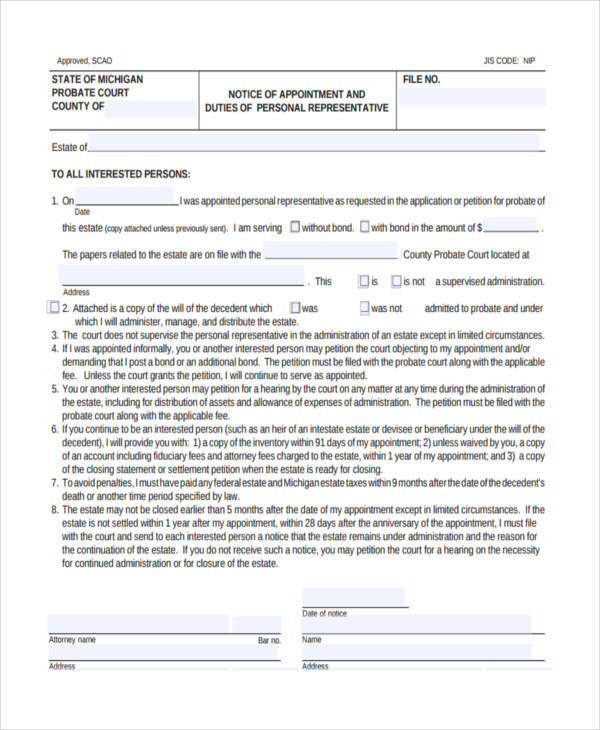 An appointment, according to Merriam-Webster, has two meanings: “the act of giving a particular job or position to someone,” or “an agreement to meet with someone at a particular time.” Therefore, an appointment notice could be an adverse action notice or a meeting notice. 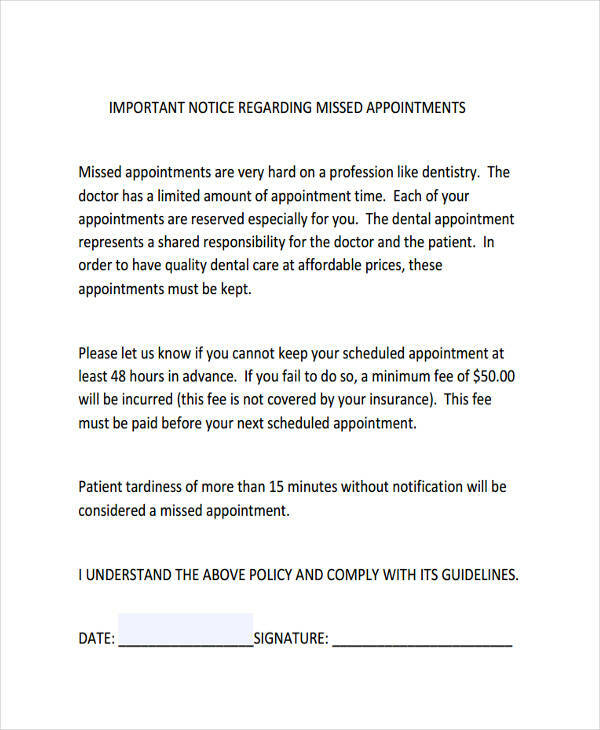 Just like other types of notices, an appointment notice still requires a timeframe. It could be a one-month notice or two-weeks notice, whichever is required or appropriate. An important thing to consider in an appointment notice is its objective. 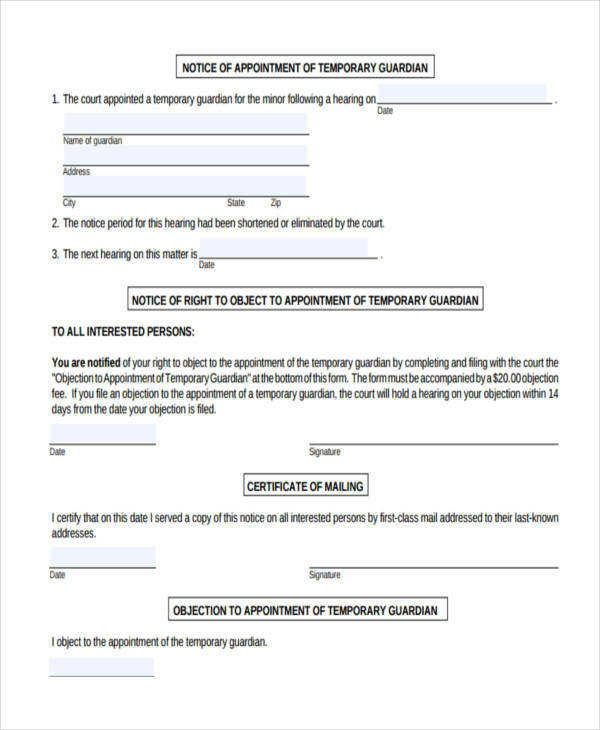 What Is a Notice of Appointment? 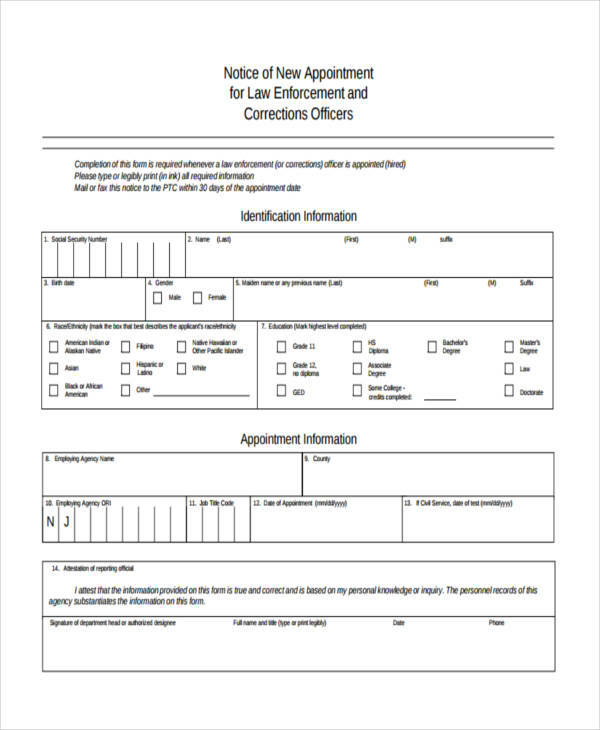 Free notice or appointment, whether done by hand or through a computer, is any document that contains information or details with regards to a designation of a position or an arrangement of a meeting. 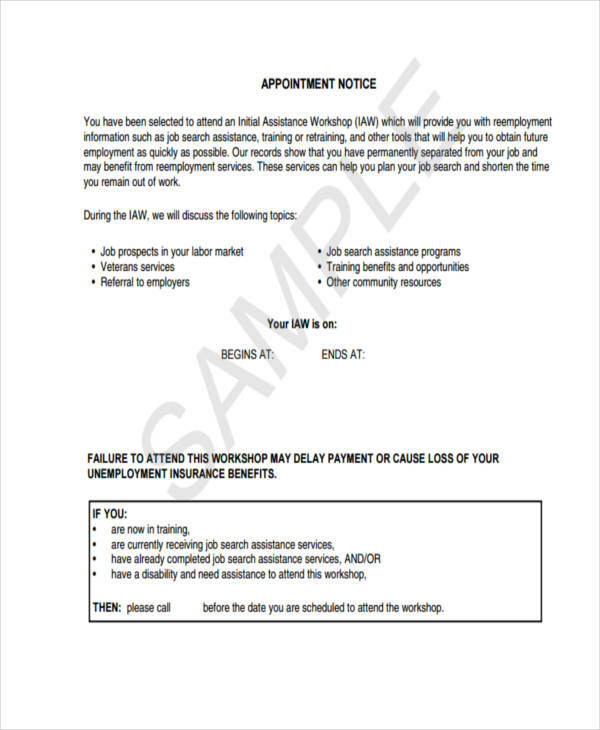 An appointment notice, when used in an organization, is drafted by someone who has the highest position to assign a duty or hold an office. 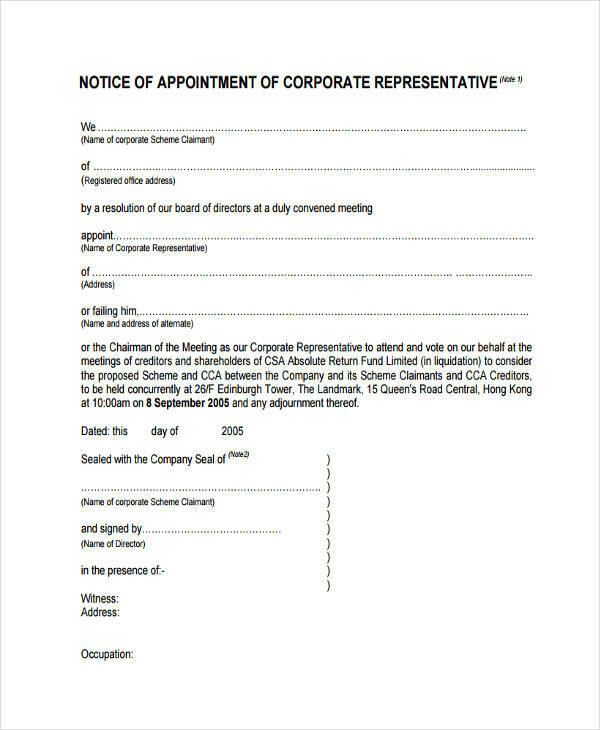 When to conduct a meeting notice , it can be written by anyone who intends to set such. It is intended to give out information ahead of time in order to facilitate things properly and in a timely manner. Writing an appointment notice is similar to other kinds of formal notices. However, the way it is presented is different. Here are the steps on how to write one. Start with the agenda. Write the purpose of the notice in word. This should be written clearly so that whoever reads it will know the intention of the letter. 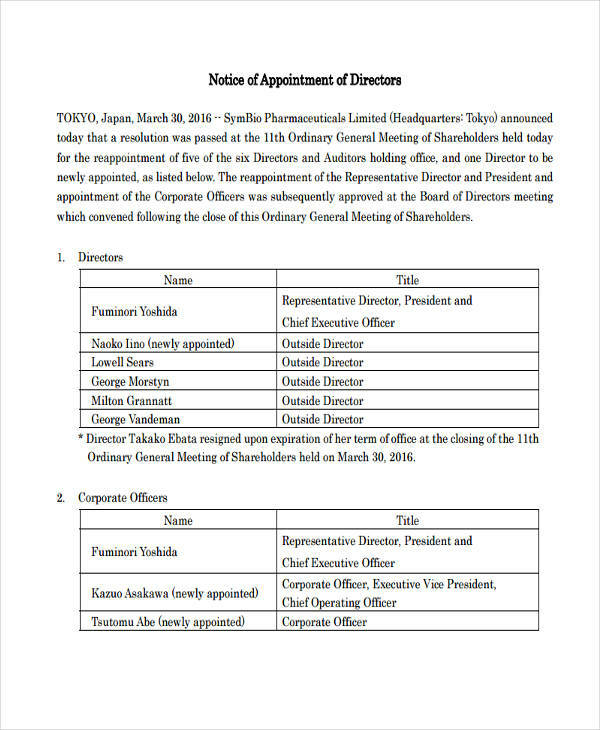 Indicate the positions or places. If you are appointing a person, specify the position. If you are setting a meeting, do not forget the time and place. Affix your signature. A document that is signed indicates that it is valid and legally binding. Make sure to affix your signature at the bottom of the page. There are ways to effectively write a notice if you want to be heeded (especially if you are writing a final notice). Be Specific. A letter appointing roles must be accurate and clearly presented. 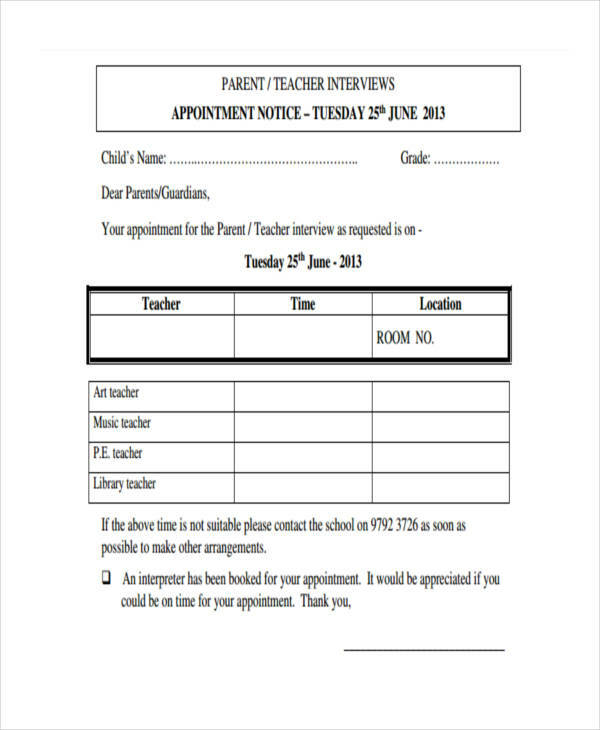 Use graphs or numbers to list the items on your appointment notice. Consult with the group. Writing an appointment notice is not a one-man show. You need to organize a group to consult whether such appointment schedule are necessary or the people you selected are right for the job.